Astronomy is, among other things, the study of history. The light from the stars of the Big Dipper, that most ordinary of formations, take most of a human lifetime to reach us. The Andromeda Galaxy’s glow we see tonight left 2.5 million years ago, when man’s distant cousins were barely using stone tools on Earth. As we look up at the heavens, we watch history arrive at our small outpost. The stars tell a human history, too. Mankind has used them for practical, spiritual and recreational purposes since our earliest days. All of this history is easier to see in some places than others. 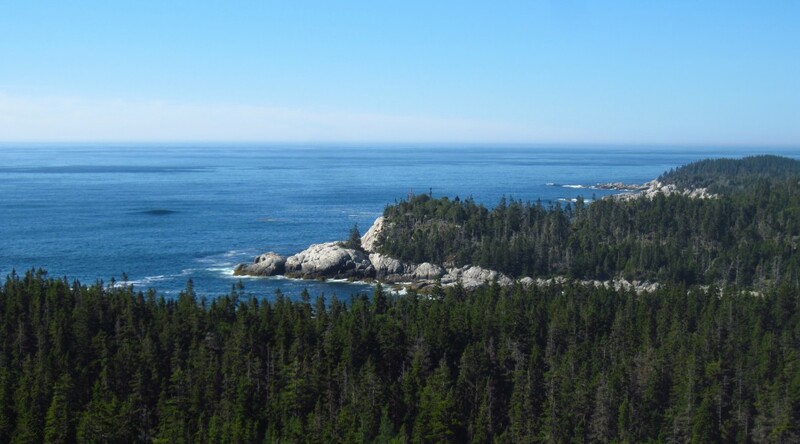 Six miles off the coast of Maine is Isle au Haut, a rocky, forested, 12-square-mile piece of heaven. Sparsely occupied in the peak of summer, and even emptier through the brutal Maine winter, it is mostly land that is part of Acadia National Park. For at least ten thousand years, locals have plied its waters for fish, oysters, crab, bird, lobster and seal. Its prominent hills have likely always been something of a sanctuary from the mainland, providing a lookout that scans dozens of miles and hinting at the origin of its European name: high island. Today, that sanctuary is from tourists. 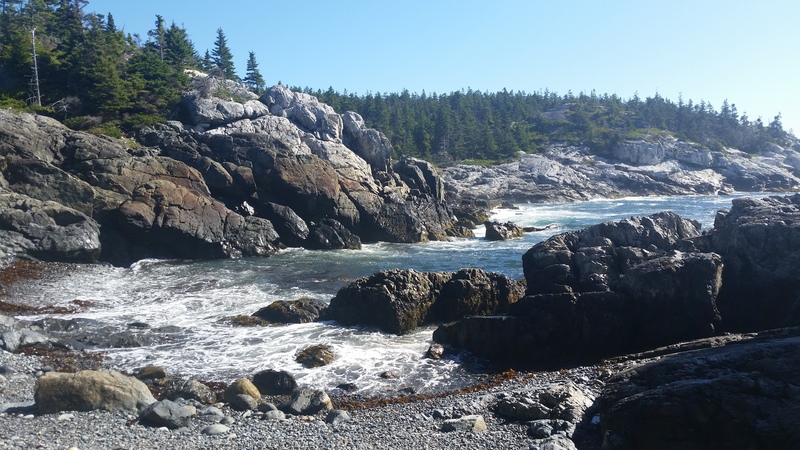 The mainland portion of Acadia taxes the patience of even the most nature-minded with its summertime crowds and congestion. Isle au Haut is empty by comparison. There are only five campsites, reserved months in advance. A small number of day hikers join campers on the daily mailboat from Stonington, Maine. It remains an ideal lookout, of sorts. Isle au Haut, an isolated island off of one of the east coast’s least light-polluted spots, is an exceptional place to observe the heavens. I was thrilled to learn in April that my reservation request for the 2015 season was approved and my preferred dates were available, coinciding with a new moon, the darkest sky and the annual Perseid meteor shower. 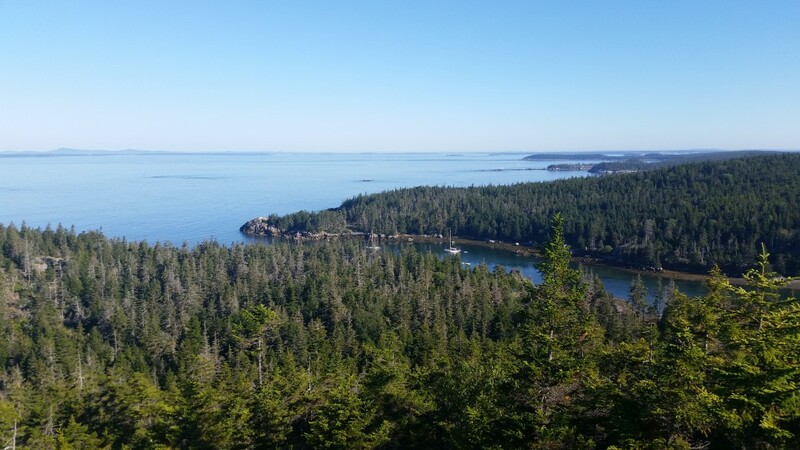 My son and I spent our first day on the island hiking and savoring the persistent smell of spruce and ocean. Every trail led to incredible vistas. A nearly cloudless sky gave way to a spectacular sunset just yards from our campsite and promised exceptional astronomical viewing overnight. 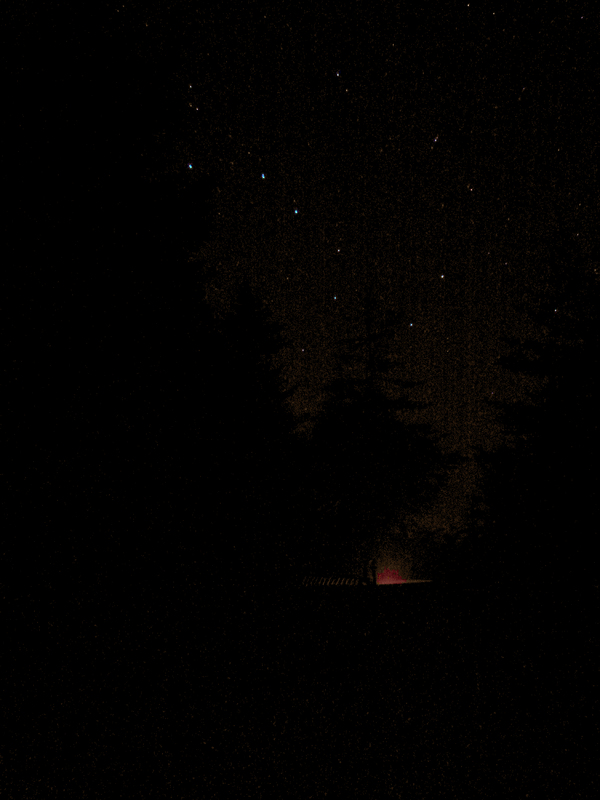 We used the day’s last light to gather, cut and split more firewood and watched the stars appear overhead, one by one. Vega was first, then Altair and Deneb, forming the classic summer triangle. 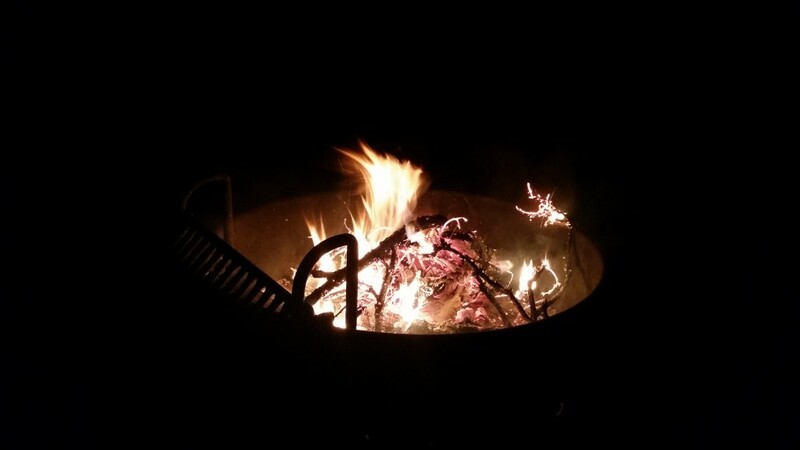 We sat and talked by the fire until light turned to dark. From a passing glance up only an hour after sunset, the heavens revealed more stars than I’d see on the darkest night at my suburban Connecticut home. My son turned in early, so I knocked back the logs in the fire, grabbed a blanket and my binoculars, and sought a flat spot away from the embers’ glow. I rolled up a sweatshirt for a pillow and prepared for nature’s showtime in a near-total darkness unlike any I’d ever experienced. At home, the quest for dark observing spots leads to absurd machinations, like finding a tree or bush to visually block a streetlight, or shielding the view of the road with a trifold school project board. 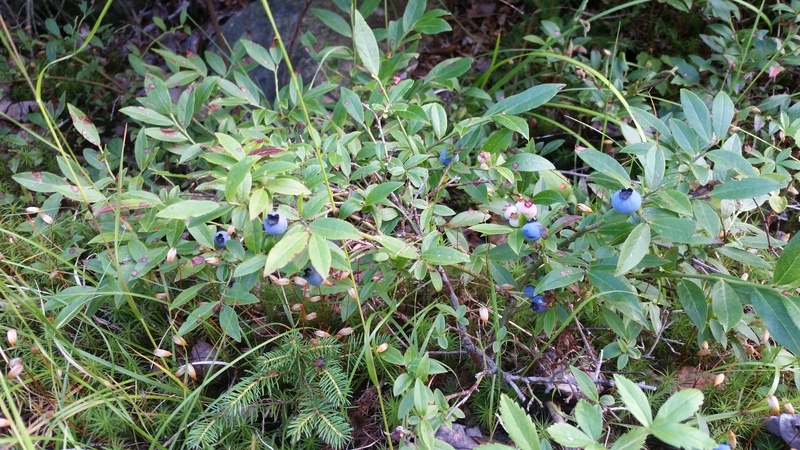 On Isle au Haut, it involved walking ten steps away from the campsite. My prime observing location was rewarded nearly instantly with an Earth-grazer…an almost horizon-to-horizon Perseid meteor burning up in a long trail of fire and smoke. Then another Perseid. And another. The sky was glorious. The Milky Way cloud band, stretching up from the south, peaked overhead in Cygnus and extended across the sky. Every passing minute revealed more detail as my eyes acclimated and sky grew darker. You can see the cloud band in Connecticut when conditions are right; I have faintly observed it along the shoreline, and brighter in the extreme northwest and northeast corners. During the great power outage of October 2011, I saw it from my normally light-polluted front yard. However, it had never looked like this. I could easily discern the Great Rift in Cygnus and the shape and structure of the band. Through binoculars, it showed pinpoints from a sea of stars, so close together it looked like a quilt of light. Over the course of the next hour, I saw a dozen or more bright Perseids, dozens of satellites, and countless astronomical objects from my mental checklist. The North America nebula? Visible to the naked eye; I had never been able to observe it at home. Messier 101, which I’d only observed in my best telescope as a faint spiral arm? It was a clear fuzzy circle through my binoculars. Andromeda? Larger than I’d ever think I could see it, and vaguely oval-shaped even to my unaided eye. Typically, I am task-focused when observing; I go out to find specific things. Here, the pure joy was how much I could see when I was looking for nothing. I had, more than once, considered leaving the binoculars at home for this trip. They are image-stabilized Canons; wonderful optics, but heavy. When you carry on your back all you need to live for a few days, extra weight is judiciously chosen. The binoculars were the perfect tools, allowing for wide, sweeping scans. Trees to the south blocked my view of the horizon and our galaxy’s dense core, so I put on my red headlamp, grabbed my phone and binoculars and headed off for a short stroll to the rocky waterfront. The tide had rolled in considerably since sunset, and what had been a fairly easy walk in the day was a cautious, slow, slippery, rock-by-rock journey once I cleared the treeline. I hugged the narrow band of shore as it curved to the west, and after climbing over one large rock formation, there it was: Scorpius, Sagittarius and the cloudlike center of our Milky Way, stretching down to the horizon. I had only dreamed of seeing the summer Milky Way from a truly dark sky sight, and it was every bit as spectacular as I’d hoped. Now horizon-to-horizon, the cloud divided the sky in a glowing, white path. The Milky Way is pivotal in the heritage of cultures worldwide. It’s often described as the path to the gods, and understandably so once seen in its full glory. On the rocks, with waves crashing near me and our galaxy stretched above, it was easy to imagine our ancestors in this same spot, a hundred generations prior to the Europeans, looking up with the same sense of awe as they pulled their boats up high, cooked oysters on the rocky coast and made shelter for the night. The miles of ocean to the mainland shielded me from any nearby light pollution but also showed its threat. A small glow, probably the town of Rockland, Maine, cluttered one small part of the western horizon. It detracted from the sky only in the sense that I knew what it was. I made my way back to the campsite and returned to my blanket. There was no noise, no light, just near total-darkness and the expanse of heaven overhead. A jet or two passed by on their way to Europe, and satellites crisscrossed the night, mixed in with Perseids, none quite at spectacular as the first I witnessed. Minutes turned to half hours and then hours, and after the third startled awakening from a buzzing insect, I realized it was time for bed. I made my way to my sleeping pad and kept looking to the sky. One last look. No, another. Ok, next satellite, and then I’m done, until one particularly bright satellite caught my attention, flared up a bit and then disappeared. I took it as a sign. I stretched my hand out to the heavens, outlining it against the cloud band in what must have looked like a feeble attempt to connect, and went to bed. I slept soundly, a rare thing for me when camping. That’s the right answer, for all intents and purposes. The trails across this gorgeous island will probably be about the same…maybe rerouted around erosion, or shifted by the crashing of the remorseless ocean. The fundamentals will remain. The night sky will not. There will never be another night quite as dark as August 13 and 14, 2015. Stonington and Rockland will always get a little brighter in the distance, one light bulb, grocery and mini golf at a time. Other towns will grow. The spread of humanity, as unwavering as the ocean, will eventually blot out the night. 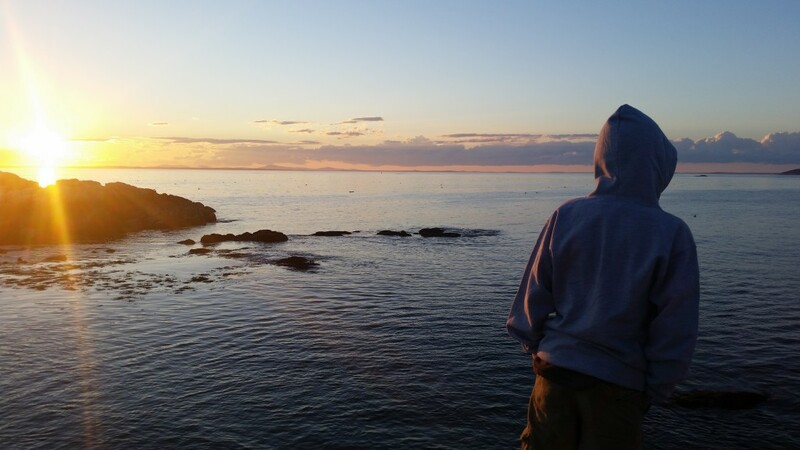 It may never spread fully to Isle au Haut, and it may not even change much in my son’s lifetime, but it will advance. At some point, certainly within a handful of generations, we will cover the sky nearly in full with our light. We will call it progress, and who can argue with the spread of light, of technology, and of electricity. That progress does not come without a cost. For all but the last 200 years, what I witnessed on Isle au Haut was all mankind understood the night sky to be. A two-million year shared experience, across cultures and continents, gone in the comparative blink of an eye. We’ve changed the balance of nature and with it, disconnected ourselves from the glory and magnitude of the heavens. It’s only when you see the night sky in its full expanse that you realize what a tragedy it is that we can—and so thoughtlessly—erase our own history. The good news is that the history is still plainly visible in the most humble of places if you look, including a small rocky outpost on the surface of another one, both tiny specks in a mighty sea.